This resource guide is a gateway for the exploration of relaxation and meditation in the context of the healing arts. We look to explore how stress affects the body, what tools or types of practices are available, and provide resources for your further exploration. The vast amount of information, books, healing centers, and web resources on this topic allows us to provide you a sampling or a starting point. We emphasize that this list is by no means exhaustive. The art of healing embraces the whole self: body, mind and spirit. Healing occurs when all three components of the self are in balance. In many traditional forms of healing in various 'Western', 'Eastern' and 'Native' traditions, balance of the body, mind and spirit is sought through awareness, or meditation practices. Awareness cultivates compassion and inner knowledge, gentle self care and loving kindness; and a wholesome practice of nourishment of the body, the mind, and the spirit. In these ways, it is observed that a quiet mind lends itself toward deeper healing and contentment. The growth of integrative health practices reflects conventional medicine's increased clinical use of these relaxation and meditation practices in recent years. Some may suggest this emerging acceptance of mindfulness in the health care system is a simple return to the core essentials of any meaningful, balanced healing arts practice. A simple distinction can be made between the terms, "relaxation" and "meditation", which in many practical ways are not easily distinguished. Relaxation relates to physiological processes within the body. The relaxation response of the nerves allows the autonomic nervous system to calm inflammation, heal tissue damage, restore nutrients, enhance digestion, reduce nerve signaling, release muscle tension and improve blood and oxygen flow, among other parasympathetic nervous system responses. Meditation is a general term to describe the practice of the cultivation of awareness and insight, primarily through a focus on the breath. It is not necessarily associated with a specific religion, but can be understood as a spiritual practice, with many variable techniques and teachings. Stress is an interesting word. It conjures up a whole host of perceptions when you ask a person their definition of stress. Ultimately, stress can be understood as simply a perception. Modify the perception and you affect the stress. Stress can be understood in terms of four main categories, psychological stressors, environmental stressors, metabolic stressors and physiological stressors. In simplest terms, a stressor is something that triggers a response in the body/mind/spirit. Stress can be either 'positive' or 'negative' depending on the response that is created. Consider some of the psychological stressors such as divorce, unemployment, death/loss, self-esteem, anger, sadness, fear and a sense of spiritual crisis that can take many forms. Review the multitude of environmental stressors, such as chemical/toxic exposures, infection, noise, light, electromagnetism, and vibration. Consider the influence of many metabolic stressors, such as nutritional (including under and over eating), oxidative damage, inflammatory responses. Then, review a whole host of physiological stressors, such as structural challenges, traumatic events, pain, excess exercise, and poor sleep. Any one of the above stressors can create imbalance in a person's health. One remarkable research finding is that the stressor or trigger of a stress may be less influential on the body than a person's reaction to that stress. What is beginning to emerge from study is that our perception of stress and our response to it is more influential than the specific qualities of the actual stress (whatever the type.) The reaction the body has to the perception of a stress is the key factor in determining the degree of harm or dis-ease. When we understand this, we realize that meditation and relaxation practices cultivate a level of awareness which provides new tools for a skillful response to stress. Mindfulness teaches us to relate to our experiences with less anxiety, fear, sadness or anger, as well as less inflammatory damage, less oxidative stress, less chemical injury, etc. Breathing exercises and mindfulness techniques allow us to create space between experience and perception. This is a skill, when cultivated, which removes a sense of urgency by creating a calm inner peace. The practice brings a more compassionate attitude toward ourselves and our situations. This new perception or space gets created between the experience and the perception. The resulting calmer, more aware response buffers the effects of the original stressor, and allows the person to find balance within the present moment. To summarize: Those who practice meditation and relaxation techniques are essentially cultivating an awareness that changes their mind-body-spirit's response to stress. It is not a process of removing all stress or avoiding difficulties in life. It is a process of cultivating an awareness which allows you to stay present in the moment. An exploration of the many web resources, healing centers and books listed in this resource guide will continue to expand on the discussion of stress and the benefits of meditation and relaxation. Here are some specific links to such discussions. In this CD program, author and lecturer Joan Borysenko leads you through the specifics of three distinct forms of meditation (concentration, mindfulness, and a centering prayer) and discusses the common pitfalls that sabotage these practices. Shows how we can infuse our homes (and offices) with a sense of cosmic order so they become nurturing centers of strength and health. Drawing upon her Cherokee Indian heritage, as well as knowledge she has personally collected from the native traditions around the world, she offers simple but effective techniques including the use of: Feng Shui; Spirit Smoke; Purifying Fire; Mystic Sound. Weiss presents a concise, small book to help with the practice of meditation (a CD is included to help guide people through the process). Reading List from Brian Weiss, M.D. EnlightenNext magazine is a publication for anyone interested in transforming human consciousness and culture. It features leading voices of our timefrom business and politics to spirituality and science. Explore addresses the scientific principles behind, and applications of, evidence-based healing practices from a wide variety of sources, including conventional, alternative, and cross-cultural medicine. It is an interdisciplinary journal that explores the healing arts, consciousness, spirituality, eco-environmental issues, and basic science as all these fields relate to health. Articles report on the people, the practices, and the ideas of the current spiritual renaissance. They offer self-tests, guidance on spiritual practices; reviews of the latest resources for people on spiritual journeys; inspiration and insights from leading teachers, researchers, and practitioners; and a forum for active exchange of ideas among various disciplines and communities. The Center for Mind-Body Medicine is a non-profit, 501(c) (3), educational organization dedicated to reviving the spirit and transforming the practice of medicine. The Center is working to create a more effective, comprehensive and compassionate model of healthcare and health education. The Center's model combines the precision of modern science with the wisdom of the world's healing traditions, to help health professionals heal themselves, their patients and clients, and their communities. Their scientifically proven techniques include: Self-awareness and self-expression through words, drawings, and movement; Relaxation; Meditation; Exercise; Diet; Biofeedback; Visual imagery; Self-hypnosis; and Group support. IONS is a nonprofit membership organization that conducts and sponsors leading-edge research into the potentials and powers of consciousness. Their website hosts research, publications, and links to projects, community events, and community networks. Founded in 1977, Omega Institute for Holistic Studies is a source for wellness and personal growth. As a nonprofit organization, Omega offers diverse and innovative educational experiences that inspire an integrated approach to personal and social change. Located on 195 acres in the beautiful Hudson Valley, Omega welcomes more than 23,000 people to its workshops, conferences, and retreats in Rhinebeck, New York and at exceptional locations around the world. Many websites maintain their own resources pages and links which are worth exploring: journals, books, organizations, and centers. Also many of the Organizations, Journals and Resource Centers that are listed elsewhere on this guide also maintain their own websites that have extensive resources and links. This website offers an extensive list of resources and relevant websites. An esteemed healer, this site describes the programs and services offered at the Chopra Center for Wellbeing and has an online library of resources. Spiritual teacher, author and founder of Enlightenment Next, Cohen leads an original nonsectarian spiritual path for the 21st century. It unites the transcendent freedom of enlightenment with the innate human desire to change and to evolve. His site offers links to lectures, workshops and resources. Internationally acknowledged as one of the creators of the field of Mind/Body Medicine, Dr. Miller has played a central role in the development of modern concepts of complementary medicine, wellness, stress management, psychoneuroimmunology and guided imagery/visualization approaches to human change. Caroline Myss is a prominent author, teacher and healer dedicated to creating educational programs in the fields of human consciousness, spirituality and mysticism, health, energy medicine, and the science of medical intuition. This comprehensive 10 week, at-home multimedia course includes video and audio instruction and exercises, written materials, an electronic biofeedback monitor, ongoing interaction with experts. Taught by James Gordon, M.D. and Susan Lord, M.D., with contributions from Herbert Benson, MD, Belleruth Naparstek, MA, LISW, and Joan Borysenko, PhD, the program is used by The Center for Mind-Body Medicine. Relaxation music for reducing stress & anxiety, promoting health, wellness & healing. Also delivers holistic lifestyle information through Health & Wellness articles from various professionals in the counseling and holistic fields on topics including addiction, counseling, health, music, self-help and more. Information and products for living consciously, in harmony. From yoga & fitness DVDs to nontoxic cleaners, there is a large selection of yoga and meditation resources. Music to celebrate the spirit and invoke the sacred. Music designed for guided imagery, relaxation, and meditation. Relaxation techniques are varied, and can be applied in many clinical settings. A relaxation response creates a parasympathetic nervous system response, in effect calming any fight or flight or sympathetic nervous system overdrive. Relaxation practices are not usually based in any specific culture or spiritual tradition but can be seen as a contemporary response for the use of relaxation tools in the health care setting. This section is not a comprehensive listing of every relaxation practice. Below are some of the best known and widely practiced, along with key resources. As defined by three leading professional organizations, "Biofeedback is a process that enables an individual to learn how to change physiological activity for the purposes of improving health and performance. Precise instruments measure physiological activity such as brainwaves, heart function, breathing, muscle activity, and skin temperature. These instruments rapidly and accurately 'feed back' information to the user. The presentation of this information, often in conjunction with changes in thinking, emotions, and behavior, supports desired physiological changes. Over time, these changes can endure without continued use of an instrument", according to the Association for Applied Psychophysiology and Biofeedback. The three most commonly used forms of biofeedback therapy are: Electromyography (EMG), which measures muscle tension, Thermal biofeedback, which measures skin temperature, and Neurofeedback or electroencephalography (EEG), which measures brain wave activity. For more information, see the AAPB consumer section where you will also find a database of research searchable by condition, reporting the level of effectiveness of biofeedback in treating each concern. Biofeedback. You Are In Control. Feel. Think. Act! This book presents a clear illustration of how the biofeedback method, its approach and its instruments, apply to our diverse life stages and crises as we live them. Carolyn Yucha, PhD and Doil Montgomery, Ph.D.
Biofeedback and neurofeedback provide the kind of evidence-based practice the health care establishment is demanding. The authors review the efficacy levels of 41 disorders treated with biofeedback; levels of evidence range from case reports to observational studies to randomized clinical trials. This international, interdisciplinary journal is the official publication of the Association for Applied Psychophysiology and Biofeedback, devoted to study of the interrelationship of physiological systems, cognition, social and environmental parameters, and health. Priority is given to original research, basic and applied. 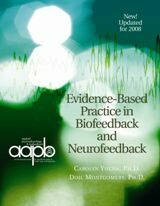 Biofeedback is published four times per year and distributed by the Association for Applied Psychophysiology and Biofeedback. The Association for Applied Psychophysiology and Biofeedback was founded in 1969 as the Biofeedback Research Society. AAPB is the national membership association for professionals using biofeedback. AAPB holds a national meeting, offers CE programs, produces a journal and news magazine and other biofeedback related publications. AAPB's mission is to advance the development, dissemination and utilization of knowledge about applied psychophysiology and biofeedback to improve health and the quality of life through research, education and practice. The BCIA was established as an independent agency to provide national certification for biofeedback providers. ISNR is a member organization for health professionals, educators, researchers and students. Provides an extensive resource list for biofeedback information. Search for certified practitioners online. Provides some links to professional organizations and posts some articles. Biofeedback products and resources for practitioners and home users. For purposes of this resource guide, breathing exercises are listed as a separate relaxation technique. However, almost every type of relaxation and meditation practice in this guide relates to the practice of breathing. Details can be found by exploring the listed resources. It is worth special note that one can also simply focus on the experience of basic breathing techniques. For our purposes, we refer you to a straightforward description of The Art and Science of Breathing by Dr. Andrew Weil. The author brings twenty years of experience in the martial arts, fitness training and meditation to bear on one of the most fundamental dimensions of good health: proper breathing - how, through conscious breathing we can raise our level of oxygen intake and reap the benefits of increased energy, better health, and a stronger sense of well-being. Through a course of eight breathing exercises, Dr. Weil explains the secret of breathwork's power over our health, and its remarkable ability to influence and even reprogram the nervous system. To learn the art of healthy breathing, Weil turned to Eastern traditions, including yoga, which view breath as a vital link to the energy of the universe. EFT, or Emotional Freedom Technique involves 'focused concentration' while tapping lightly on various spots located on the body. Often one's attention is focused on an emotional upset, physical discomfort, pain or stressful thought, with phrases or statements. The technique is referred to as emotional acupuncture or emotional acupressure, however, EFT can also be classified as a simple form of hypnosis. The process of gently tapping on the meridians or body points allows the body's physical energy system to engage with the mind and this is considered how the technique helps achieve alignment. Step-by-step instructions for nearly 60 different EFT Exercises including hundreds of Choice Statements to release blocks or limiting beliefs you might have to receiving wealth and joy in your life. A multi-purpose reference book and concise guide with dozens of practical and transformational tips and strategies for EFT. Guided imagery is a specific form of relaxation practice which utilizes an instructor, CDs/tapes, or scripts. The process involves using directed thoughts, images and suggestions that guide your imagination into a relaxed, focused state. It involves using the spoken word to provoke images of healing, and generally is considered to engage many levels of senses, including images of texture, taste, smell, and emotions to help promote balance. General guided imagery involves imagining all the details of being in a safe, comfortable place to help relax. Specific guided imagery is used for a wide variety of health conditions. For example, one may use a script to imagine a chemotherapy drug effectively finding its target tissue, while also describing the strength and specific activities of immune system cells in the body. For more information, see the Health Journeys web site. Guided Imagery is a practical guide to using imagery in one-to-one therapeutic work with clients. Through numerous examples drawn from their own experience, the authors show how the techniques involved can be integrated into everyday practice. Describes what guided sensory imagery is, why it works, what circumstances make it work best, what to expect when experiencing it, and all the different kinds of imagery that have been found by the latest medical research to be effective. The journal of Imagery International features articles and resources for guided imagery. Imagery International is a non-profit association of Professional Guided Imagery Practitioners. The Academy for Guided Imagery (AGI) is dedicated to educating and supporting practicing health care clinicians, coaches, and educators in their uses of imagery and imagery related approaches to therapy and healing. The Academy is a post-graduate training provider for clinicians, counselors, health educators and coaches, and a source of self-care products and programs for those struggling with a chronic, difficult, or painful illness. In 2008, the Academy and its 25 co-sponsoring organizations produced the first major medical conference held entirely in cyberspace with its webcast on IMAGERY, SUGGESTION, AND MIND/BODY MEDICINE. Their mission is to provide registered nurses and licensed health care professionals with a comprehensive, high quality training in relaxation and imagery skills. The purpose of this work is to offer the opportunity to incorporate the power and magic of imagery into personal and professional practice, with the potential to increase career options. Dr. Charlotte Reznick is a nationally recognized child and educational Psychologist and Associate Clinical Professor of Psychology at UCLA with an extensive website. There are archived articles, resources and books and CD's available, along with other services and educational opportunities. An extensive collection of guided imagery resources, as well as articles and links. A training center with informative articles and resources. Considered a combination of hypnosis and therapeutic intervention, hypnotherapy is practiced by a wide range of clinicians to place a person into a deeply relaxed state, considered a state of heightened suggestibility. During this trance state, the therapist provides suggestions on new cognitive thought processes or awareness of how to make changes from certain undesired behaviors or emotions, like smoking, addictions, anxiety, etc. It is suggested that, in this state of awareness, the patient is more receptive, and less resistant to suggestions from the therapist for improved behaviors and emotional patterns. Also, the patient is said to be more receptive to memories and insights that help understanding of current undesired behaviors or challenging emotions. Many therapists insist that during hypnosis, the patient is not unconscious, does not lose control of his or her faculties, and does not do things under hypnosis that he or she would be unwilling to do otherwise. Read more in the Encyclopedia of Mental Disorders. An easy-to-follow, reassuring and responsible guide that shows how you can use hypnotherapy to identify and overcome unhealthy modes of thinking, deal with emotional issues, improve performance, and banish bad habits. A step by step guide to self-hypnosis, including an overview of principles of hypnosis, basic and advanced techniques, and a variety of related advice. A handbook encompassing a vast assortment of hypnotherapy scripts for a wide variety of clinical situations. The authors present the essential steps of self-hypnosis and goal-directed relaxation and imagery. Case studies and scripts for mastering self-hypnosis are also included. This official journal of the American Society of Clinical Hypnosis publishes original scientific articles and clinical case reports on hypnosis, as well as reviews of related books and abstracts of the current hypnosis literature. An official journal of The Society for Clinical and Experimental Hypnosis and The International Society of Hypnosis. This worldwide organization provides knowledge, tools and resources to professional hypnotherapists in order to support their success in small business and in the hypnotherapy industry. ASCH is a large U.S. organization for health and mental health care professionals using clinical hypnosis. Founded by Milton H. Erickson, MD in 1957, ASCH promotes greater acceptance of hypnosis as a clinical tool with broad applications. ASCH offers professional hypnosis training workshops, certification, and networking opportunities that can enhance both professional and personal lives. IARRT (founded as APRT - Association for Past Life Research and Therapies) is a non-profit organization dedicated to increasing the acceptance and use of professional and responsible past-life regression through education, association and research. They are an international organization of professional, student, and supporting members across the United States, Canada and other countries. Hosts an online directory of professional organizations and associations. Search the Member Referral Service for qualified practitioners and hypnotherapy centers. Hypnosis articles, resources and information. See this page specifically http://www.hypnos.info/pages/links.html for a list of resources and links on hypnotherapy. HypnosisDownloads.com is part of a professional psychology training organization based near London, England. They work within strict ethical guidelines to ensure that every program meets the highest professional standards, based on current research and knowledge. Mindfulness Based Stress reduction (MBSR) is listed under the relaxation techniques because this program is an example of the clinical integration of basic meditation techniques without extensive cultural or spiritual references. It is an experiential program developed and popularized by Jon Kabat-Zinn at University of Massachusetts Medical School over the past 25 years. MBSR has been shown in clinical research to have a profound effect on one's ability to effectively regulate the mind, and consequently the emotions and to a significant degree, physical health. It is used in complementary and alternative medicine programs at a number of universities, including University of Massachusetts, Stanford University, Duke University, University of Virginia, University of California San Francisco and many others around the world (i.e. currently 250+ universities and hospitals worldwide). Shauna L. Shapiro, Ph.D. & Linda E. Carlson, Ph.D.
A comprehensive update on the emerging science and practice of mindfulness primarily for health and helping professionals, with a foreword by Jon Kabat-Zinn. The Center for Mindfulness focuses on mind-body medicine and mindfulness-based treatment and research investigations, pioneering the integration of meditation and mindfulness into mainstream medicine and health care. Their Stress Reduction Program continues to expand its influence worldwide with hundreds of Mindfulness-Based Stress Reduction (MBSR) clinics and free-standing programs attracting tens of thousands of people on five continents. Meditation techniques are generally rooted in a cultural practice. Many have origins in a distinct spiritual or philosophical approach to life, and some are associated with various religious systems. However, many of these meditation techniques are also currently practiced throughout the world not as a religious practice, but as a general spiritual path for the development of awareness, insight and peace of mind. In the integrative health care movement, meditation practice and research about the health effects of meditation are increasingly gaining a place in clinical health care settings and community health education programs. We focus on those that are commonly used in healing arts practices, knowing that this list is not exhaustive of all styles, teachers or lines of meditation practices. Many of the described resources are not easily placed into specific separate categories, and do find some overlap in many areas. For one basic description of meditation, go to: How To Meditate, excerpted from Minding the Body, Mending the Mind by Joan Borysenko, Ph.D. Meditation techniques in the Buddhist tradition are diverse and complex, and have been practiced for over 2,500 years. The important two mental qualities that arise from wholesome meditative practice are said to be serenity and insight. Serenity involves the concentration of the mind, and insight involves the ability to discern or explore. There are two main branches of meditation practice called tranquility meditation (samatha) and insight meditation (vipassana). The most familiar types of meditation or teachings are Zen Buddhism and Insight Meditation. Vipassana, or Insight Meditation, refers to the ability to see things as they really are, attained through a process of self-observation. It means identifying one's own nature, recognizing the bad elements and consciously eliminating them from the system. Vipassana is a meditation technique that is free of rites, helps develop wisdom and allows an individual to study different sensations in the body such as cold, pain, itching, etc. Zazen is a particular kind of meditation, unique to Zen, that functions simply as the very heart of the practice. In fact, Zen Buddhists are generally known as the "meditation Buddhists." Basically, zazen is the study of the self. In simplest terms, the practice of Zen is that we need only remove the illusion of non-enlightenment to become enlightened. In a day-by-day format, the author dives into the soothing wisdom of Tibetan Buddhism, reminding us that groundlessness is the only ground we have to stand on. Gradually, Chödrön guides readers beyond the tunnel vision of the self, expanding outward to include compassion for all of humanity. Explains the basic Buddhist view, intention, and action, and how to follow the Buddhist way of life in the modern world, a manual for anyone with an interest in Buddhism and meditation. In this collection of talks, essays, interviews, and letters, Toni Packer, a former Zen teacher and student of Krishnamurti's work, presents a simple and original approach to spiritual growth free from religious authority, doctrine, symbolism, and ceremony. Joseph Goldstein, Jack Kornfield, Dalai Lama, and Robert K. Hall M.D. This seminal work by Goldstein and Kornfield, cofounders of the Insight Meditation Center in Barre, MA, discusses the development of Theravada in its American form. Readers are encouraged to consider that they see the world the way they do not because the world is inherently that way, but because of who's looking. Seeing ourselves as having many different parts helps us make sense the whirling mass of contradictions we sometimes experience within ourselves. Zen Meditation provides the basics of zazen, or zen meditation. With a concise overview of the basics and clear photographs illustrating proper positions, this comprehensive guidebook demystifies the age-old practice. A modern classic of instruction for the practice of Buddhist meditation. The Shambhala Sun offers authentic teachings from the Buddhist and other contemplative traditions, and applies the wisdom born of meditative practice to all the important issues in life - from livelihood, parenting, and relationships to politics, social action, and the arts. It explores Buddhism's unique insights into the human condition, and teaches how to apply the wisdom of spiritual practice to life's greatest challenges. Established in 1990 as a not-for-profit 501(c)(3) educational organization, The Tricycle Foundation is dedicated to making Buddhist views, values, and practices broadly available. In 1991 the Foundation launched Tricycle: The Buddhist Review, the first magazine to present a Buddhist perspectives to a Western readership. Extensive online and print articles, including a feature for finding a dharma center near you. Founded in 1975, IMS is a 501(c)(3) religious nonprofit organization. Over its 33-year history, IMS has become a spiritual home to thousands of practitioners, and is now regarded as one of the Western world's most respected centers for learning and deepening meditation practice. The organization operates two meditation retreat programs - the Retreat Center and the Forest Refuge. Both facilities are set on some 200 secluded wooded acres in the quiet country of central Massachusetts. Of particular note, on their Meditation Resources page, they have an extensive list of Dharma Centers and Communities as well as audio resources and outside interviews. IMCW is a spiritual community teaching and practicing Vispassana meditation. They offer programs, retreats, meditation classes, and events. The downtown meditation community is comprised of individuals who come together to practice insight meditation, also known as mindfulness meditation. The programs, held for the most part in the downtown area of Manhattan, are led by Peter Doobinin and other teachers. These classes, courses, workshops and retreats offer an opportunity to learn and develop meditation practice. The web site offers an extensive reading list and a list of retreat centers. Located on 230 acres of forest preserve in New York's beautiful Catskill Mountains, Zen Mountain Monastery (ZMM), the main house of the Mountains and Rivers Order, is one of the West's most respected Zen Buddhist monasteries and training centers. Since its inception in 1980, ZMM has offered spiritual practitioners innovative ways to engage the Buddhist teachings through a wide range of retreats and residential programs that take place within the context of authentic, full-time Zen monastic training. Throughout the year, teachers, staff and special guests lead retreats that highlight each of the areas that form ZMM's unique training matrix: the Eight Gates of Zen, a Western rendition of the Buddha's Eightfold Path. How to Meditate offers practical information about Buddhist meditation that is clear, simple and easy to understand. The goal is to make Buddhist meditation more accessible to busy people. A large compilation of basic information and links on Buddhism. Dharma Seed is a non-profit dedicated to preserving and sharing the spoken teachings of Theravada Buddhism in modern languages. Since the early 1980's, Dharma Seed has collected and distributed dharma talks by teachers transmitting the Vipassana or Insight practices of Theravada Buddhism, the oldest Buddhist tradition still actively pursued in the 21st century. Recordings are freely available for download or streaming as digital audio files (MP3s). Provides an extensive resource list for meditation. Many free downloads and articles about meditation, the benefits of meditation, the techniques, and a community forum. Access to Insight is dedicated to providing accurate, reliable, and useful information concerning the practice and study of Theravada Buddhism, as it has been handed down through both the written word of the Pali canon and the living example of the Sangha. Access to Insight is not an organization and is not affiliated with any institution, but is one person's website. The readings assembled represent a personal selection of the Buddha's teachings. All are freely available and there is an overview of a selected number of beginning articles. John Steven Shealy, PhD has compiled a website, including a link to a non-profit organization called Flowing Dharma, Inc. whose commitment is to serve the Dharma while cultivating loving kindness, compassion and generosity. The organization takes on projects to support the Buddhist community in the Tampa Bay area. This website has a full list of Articles, Links and Resources and a compiled list of research articles, while most are about 10 years old, the abstracts are compiled for easy review: Bibliography for Mindfulness-Based Stress Reduction Research. Chakra meditation is a form of meditation that focuses on certain parts of the body; such as your head, heart or any major organs. The meaning of the word 'Chakra' is a wheel. This teaching stems from several theological backgrounds and describes seven chakras located throughout everyone's body (which are the perineum, sacrum, navel, heart, throat, eyebrows or forehead, and the top of the head). These are considered energy centers, with various influences on the physical and emotional bodies, and clearing them from blocked or deficient energy creates healing and self-awareness. This guide explains the seven major chakras in-depth, as well as often overlooked minor chakras associated with them. Each beautifully illustrated chapter looks at different kinds of meditation. Techniques include emotion-based visualizations, a rose meditation, a singing meditation and a Sufi whirling exercise. Filled with step-by-step guided activities, this workbook offers a voyage of self-discovery. Progressing through the seven chakras, the exercises show readers how to unblock each energy channel and clear the psychological, emotional, and spiritual debris of the past. An extensive collection of information and links regarding chakra meditations and some selected resources. An interactive web tool to explore the chakra systems, which are also discussed extensively in her books. Christian meditation may use relaxation, music, focus on a word, image, story or symbol to help disengage from temporal concerns and be available for God. But the purpose is not to achieve a void, but communion with the living God. Thus the Christian meditator seeks 'the still small voice of God' (1Kings 19:12). Quiet contemplation and prayerful reflection with an emphasis on silence and solitude helps still our ego driven minds. By taking a passage and doing a Christian meditation on it, you can further your understanding, commit it more easily to memory and plant it deep in your subconscious mind so it becomes part of who you are every day. This facilitates listening more attentively to God and entering into more intimate communion and loving relationship with him. Christian insight meditation places Buddhist meditation within the Christian prayer tradition, guiding followers through a process of inner purification that leads to a deeper Christian faith and to the direct vision of God. Christian Meditation introduces an ancient practice to a contemporary audience. Finley provides simple instructions, explaining the deeper connection with the divine that meditation can bring, allowing us to experience divine contemplation - the presence of God. Ryan describes clear links between Christian faith and the practice of yoga and meditation to help integrate teachings from the Christian contemplative tradition into your practice and encourage a new appreciation for the role of the body in prayer. An online community of resources, retreats, meditation groups, speakers, programs and publications for Christian Meditation. A revived interest in labyrinths began in churches in the United States, and now encompasses religious communities of all types, as well as hospitals and health care facilities, spas and retreat centers, schools and universities, public parks, memorials and healing gardens, prisons and even progressive businesses. Labyrinths are found in many sizes and shapes, and are created in sand, cornmeal, flour, painted on canvas, fashioned with masking tape or string for a temporary design, or built in a permanent fashion from stones, cut into turf, formed by mounds of earth, made from vegetation, or any other natural material. A labyrinth is not a maze, but a walking meditation device with a single winding path from the edge to the center. There are no dead ends in a labyrinth walk and the same path is used to return to the outside. Combining a number of even older symbols, including the circle, spiral and meander, the labyrinth represents the journey inward to our own true selves and back out into the everyday world. For many walkers the labyrinth becomes a metaphor for the journey of life. The journey inward represents the introspection or self-knowledge, and the journey outward represents the call to service, or sharing one's gifts with the world through acts of service and love. Like life, a labyrinth is full of twists and turns, whose navigation requires a change in direction, awareness or perspective. The path symbolizes also that each of us is on a single path through his or her life, and yet each person's journey is a separate and distinct qualitative experience. In walking labyrinths, the meditations recapture the pilgrimage tradition of many ancient faiths. 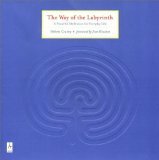 A classic work and the best reference for a Christian-based discussion of labyrinths, although the work can be used by those of other beliefs. 'Walking the Labyrinth' has reemerged today as a metaphor for the spiritual journey and a powerful tool for transformation. Includes meditations, prayers, questions for enhancing labyrinth walks, guidelines for ceremonies, instructions for finger meditations, and extensive resources, helpful for both novice and experienced readers. Each annual edition contains papers, articles and notes on labyrinths and mazes, ancient and modern, from around the world. Their website also hosts extensive resources and links. The Labyrinth Society is an international organization whose mission is to support all those who create, maintain and use labyrinths, and to serve the global community by providing education, networking and opportunities to experience transformation. Hosts an extensive resources page. A site that aims to help you meditate while you 'walk' a virtual labyrinth - either classical or Chartres-style. Also, it hosts an extensive links page. The World-Wide Labyrinth Locator is designed as an easy-to-use database of labyrinths around the world. Information about labyrinths you can visit, including their locations, pictures, and contact details, are accessible here, along with information about the many types of labyrinths found worldwide. Labyrinths occur in many forms, shapes, and sizes, and the Locator contains both historic and modern examples. Currently, the Worldwide Labyrinth Locator database contains more than 3100 labyrinths in over 65 countries. The healing beliefs and practices of hundreds of indigenous tribes of North America combine religion, spirituality, herbal medicine, and rituals. There are several core meditation techniques that are used for healing arts. The Medicine Wheel serves as a cornerstone for Native American spirituality, and is used as a tool for guided meditations. The sweat lodge is a sacred purification ceremony which combines ritual, prayer, steam and meditation. The process of experiencing vision quests is also a uniquely native healing process. Meditation techniques from many different native tribes include drumming, chanting, dancing and smudging as means to promote a change in consciousness and healing. This classic on shamanism pioneered the modern shamanic renaissance. An intimate and practical guide to the art of shamanic healing and the technology of the sacred. Cohen addresses the important issue of how non-Indian people can respectfully learn from indigenous American healing traditions. A section on values and principles precedes discussion of such practices as sweat lodges, pipes, and the use of herbs, including tobacco. Storm chronicles his life and how it has been enriched by the power and intricate sophistication of a discipline that reaches back tens of thousands of years to the Mayans and beyond. The book delivers a timely message--that the Medicine Wheels are an inheritance that belongs to all of Earth's peoples. 44 beautifully illustrated cards, each endowed with a particular meaning and message, may be drawn individually for a daily lesson or laid out in a series of spreads that open up different paths to inner knowledge. The magazine is published six times a year with a focus on the arts, culture and lifeways of the Native peoples of the Americas. It also reports on topics related to business, health, education, politics, sports, travel in 'Indian Country', the environment, food, language, history and other subjects associated with Native American life past and present. Ken "Bear Hawk" Cohen offers lectures, workshops, healing consultations and resources on Native American Healing. Below are two general resort centers that offer Shamanic or Native American retreats. Generally, be aware that the opportunities to participate in Sweat Lodges or vision quests are found locally through a personal relationship with a tribe or healer. A Sheraton hotel which hosts the Aji Spa, offering authentic Native American Healing treatments. Customized Personal Retreats in Sedona & Maui. They offer a variety of retreat programs, including a Shamanic retreat. A professional organization's resource describing Native American Healing. An excerpt from a magazine article which provides a general description of the medicine wheel. This Smithsonian museum is the first national museum dedicated to the preservation, study, and exhibition of the life, languages, literature, history, and arts of Native Americans. Qigong is one of the four pillars of traditional Chinese medicine: Acupuncture, Massage, Herbal Medicines and Qigong. Qigong meditation develops our ability to feel qi, build and store qi, and circulate qi smoothly throughout the body. Qigong includes meditative qigong, along with some simple movements to release tension and increase energy flow. Meditative qigong is called jing gong or quiet form (with standing and seated versions). This is in contrast to moving qigong forms, such as Taiji (or T’ai chi), which use bodily movement to mobilize qi. The book offers an introduction to basic qigong theory and over 100 five-minute qigong exercises designed to target specific health issues, from strengthening an aching back to boosting energy. The book presents more than 70 qigong practices for harnessing the power of qi to create vitality, spiritual balance, and physical health, complete with 100-page, weekly workbook. 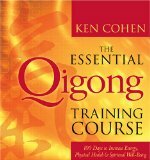 With the help of 125 beautifully rendered illustrations, the author describes a multitude of simple qigong tools, practices, and techniques for accessing and utilizing the power of qi. The journal is a quarterly publication that is distributed internationally and specializes in the topic of traditional Eastern healthcare practices. Note they have a links page for both QiGong and Tai Chi. The Empty Vessel, A Journal of Contemporary Taoism is a quarterly publication dedicated to the exploration and dissemination of non-religious Taoist philosophy and practice. Features articles on qigong. Resources include qigong seminars, books, videos, healing products. This membership organization is an umbrella for all groups, schools, enthusiasts: Western or Eastern; ancient or modern. Their Qigong community works together to create opportunities for people to learn more about Qigong. They develop and distribute introductory materials to the public; their faculty of instructors offers general as well as advanced workshops for students to improve their practice and understanding. They offer quality education materials online. They organize an annual National Qigong Conference that takes place in a different area of the country each year. They also sponsor regional conferences organized by local members. Hosts a website with contacts (resources), books, articles and classes. Director Ken Cohen, health educator, Qigong Master, and practitioner of indigenous medicine authored: The Way of Qigong: The Art and Science of Chinese Energy Healing; Honoring the Medicine: The Essential Guide to Native American Healing, as well as numerous Sounds True audio/DVD courses and more than 200 journal articles on spirituality and health. He speaks and reads the Chinese language, and his academic training includes graduate study of Taoism and theology. Extensive resource library and links to classes. Ken Sancier seeks to improve healthcare by education and research on Qigong. This website hosts an extensive links page. Qigong News is published via email as a free service to the public to promote awareness of the health benefits of Qigong. Taijiquan or T'ai Chi Chuan is one of the best known of all Chinese health enhancing exercise systems. It has strong links to the martial arts as well. Taijiquan includes 108 movements in the long form or between 20 and 40 movements in the short forms. There are dozens of kinds of Taiji. The Yang style is the most broadly practiced in China, however the Wu style and the Chen style are very popular also. All of the styles of Taiji may be considered as varieties of Qigong (Ch'i Kung). Beginning with Six Easy Steps and progressing to Yang 24 movements (the world's most popular tai chi form ), Dr Lam teaches authentic Tai Chi for health, wellness and longevity, and explains how tai chi improves health in general as well as specific conditions. T'ai Chi Classics presents the inner meaning and techniques of T'ai Chi movements through translations of three core classics of T'ai Chi, often considered the "T'ai Chi Bible." This quarterly publication is distributed internationally and specializes in the topic of traditional Eastern healthcare practices. Note they have a links page for both QiGong and Tai Chi. ATCQA is a national non-profit organization and promotes Tai Chi, of any style and any linkage, in the United States to enable more people to benefit from it. The website offers a free search engine for you to search more than 1,000 Tai Chi coaches/schools nationwide, extensive articles and many other features. Transcendental meditation popularized by Maharishi Mahesh Yogi, is one of the many forms of meditation prescribed in the spiritual teachings of the Vedas (the scriptures of knowledge) of the Hindus for attainment of ultimate bliss (Nirvana). Transcendental Meditation (TM) is a simple, natural, effortless procedure practiced 20 minutes twice each day while sitting comfortably with the eyes closed. The basic difference from other techniques is that Transcendental Meditation, in addition to its simplicity, concerns itself only with the mind. Other systems often involve some additional aspects with which the mind is associated, such as breathing or physical exercises. TM is considered one of the most widely practiced meditation forms and is often considered the most researched method of self-development. The philosophy states that consciousness is blissful and is the very state of our being. Transcendental meditation techniques do this by having the person simply witness the mind and the state of the body. It is about being effortless. It is thought that efforts are in the domain of the body, mind and intellect and not actions of the self. The self is merely aware and watching. There is no attempt to concentrate or focus on something. It is restful awareness. This book provides guidance on how to quickly and easily do transcendental meditation anytime and anywhere - to quiet the loud thinking conscious mind and access the subconscious mind to bring peace into your life. Maharishi Mahesh Yogi is the founder of Transcendental Meditation, and this book remains the definitive introduction to its practice since it's first publication in 1963. Maharishi unfolds his vision for bringing life to fulfillment through a simple, effortless technique that anyone can easily learn and enjoy. The Transcendental Meditation Project offers a referral service to centers with certified teachers of TM. The Transcendental Meditation technique is taught through a nonprofit, tax-exempt educational organization. The organization's goal is to develop the full potential of the individual, minimize the negative impact of stress, and bring unrestricted and fulfilling progress to all areas of society. Based upon the Hindu system of philosophy aiming at spiritual, mental, and physical wellbeing, yoga is a system of practice that includes deep meditation, prescribed postures, and controlled breathing. Yoga is usually defined as union: union between the limited self and the Divine Self. The aim of Yoga is to help realize our identity with the Divine Self, to make us know and tune into our intrinsic nature. Jnana Yoga: the Yoga committed to inquiry. Karma Yoga: the Yoga committed to selfless service and Dharma. Bhakti Yoga: the Yoga devoted to love and devotion to God. Raja Yoga: the Yoga committed to introspection and contemplation. Hatha Yoga, and the practice of asana (postures) and pranayama (breathing exercises), are generally the more familiar components of yoga in the west. There are many different schools of practice, styles and branches even within Hatha Yoga. The book begins by covering practical concerns - how to prepare a home yoga practice, decide on practice times, set up a location and props - before laying out the eight-week program, which tackles a different aspect of yoga each week. Thirty essential yoga poses (asana), their variations, and breathing practices (pranayama) are provided, with guidance for the student practicing at home, and points for the classroom teacher. The book offers a system of physical poses, breathing techniques, and focused meditations starting with a simple numerological profile based on your birth date that reveals your strengths and weaknesses, with recommendations on which exercises and meditations will be most effective for you. Devi shares her years of experience working with the healthful benefits of yoga, teaching visualizations, breathwork, and meditation, as well as providing the classic steps and illustrated instructions for yoga's physical poses. Fit Yoga Magazine covers the modern world of yoga in an easy-to-read, informative, non-preachy manner, while exploring and revealing its ancient roots. The International Journal of Yoga Therapy (IJYT) is an annual, peer-reviewed journal serving Yoga practitioners, Yoga teachers, Yoga therapists, health professionals, and Yoga researchers. We publish scholarly and research-based submissions related to any tradition or aspect of Yoga therapy. An electronic Supplement provides abstracts from IAYT's Symposium on Yoga Therapy and Research (SYTAR). An online retreat for yoga poses, classes, meditation, and lifeon and off the mat. Publishes hard copy journal and has extensive articles and resources online. Scroll down page to Yoga Therapy Today (YTT) is a triannual publication for Yoga professionals. YTT focuses on professional and practical aspects of Yoga therapy, as well as personal accounts related to Yoga therapy practice or training. (Formerly published as Yoga Therapy In Practice). Provides an extensive yoga journal list. IAYT supports research and education in Yoga and serves as a professional organization for Yoga teachers and Yoga therapists worldwide. Their mission is to establish Yoga as a recognized and respected therapy. IAYT membership is open to Yoga practitioners, Yoga teachers, Yoga therapists, Yoga researchers and healthcare practitioners who utilize Yoga in their practice. Current membership is approximately 2,300. IAYT also serves members, the media, and the general public as a comprehensive source of information about contemporary Yoga education, research, and statistics. A searchable directory of Yoga Centers & Yoga Retreats. All That Matters (ATM) began in 1995 and is a large non-residential holistic center in New England. They offer more than 45 yoga classes, an array of workshops, a retail store, and health care services ranging from acupuncture and chiropractic to massage therapy. Calming Kids: Creating a Non-Violent World is a nonprofit organization, and they train educational professionals and health care providers to teach children a curriculum designed to decrease violence and increase concentration; utilizing breathing techniques, yoga poses, stress management, and conflict resolution strategies, thus resulting in bullying prevention. The program is backed by clinical research and nationally recognized by the American Medical Association Alliance. Kripalu Center for Yoga & Health is a nonprofit educational organization dedicated to promoting the art and science of yoga to produce thriving and health in individuals and society. For more than 30 years, Kripalu (kri-PAH-loo) has been teaching skills for optimal living through experiential education for the whole person: body, mind, and spirit. It is a large and established retreat center for yoga, health, and holistic living in North America. A very large searchable directory of meditation, retreat, and yoga centers. Provides an extensive resource list for yoga. An online resource of articles, products and yoga services hosted by maxstyle.net.